Pool Parties are held every 3rd Wednesday night from 5:00 pm - 6:00 pm. Join us for a fun evening of dog socialization. 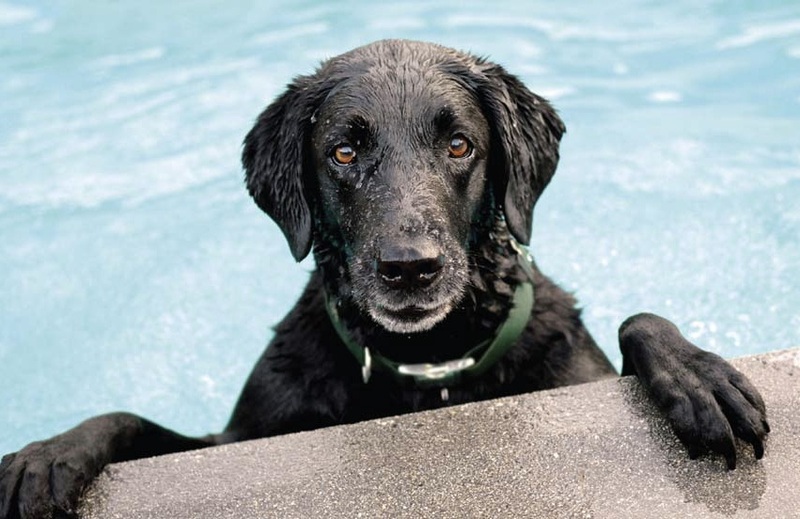 With assistance from one of our swim coaches, your pet will have a great experience during each party. Pet parent attendance is not required, but if you want to catch a quick picture of your pooch, parents are welcome. A swim orientation is required prior to attendance and can be scheduled Monday through Friday, 4:00 pm - 5:00 pm. Cost is $10 for the party. Life jackets, towels, and toys are provided. Have questions? Call us at 970-493-3333.